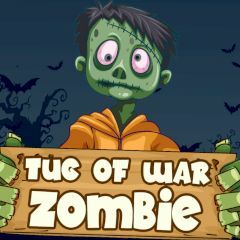 Get on a tug of war battlefield and win a challenge by eliminating the other zombie team. Start the game by selecting a game mode and picking up a zombie team. Play it alone or with your friend and tap buttons to drag another zombie team to the razor with sharp blades. Win and play it again for fun!